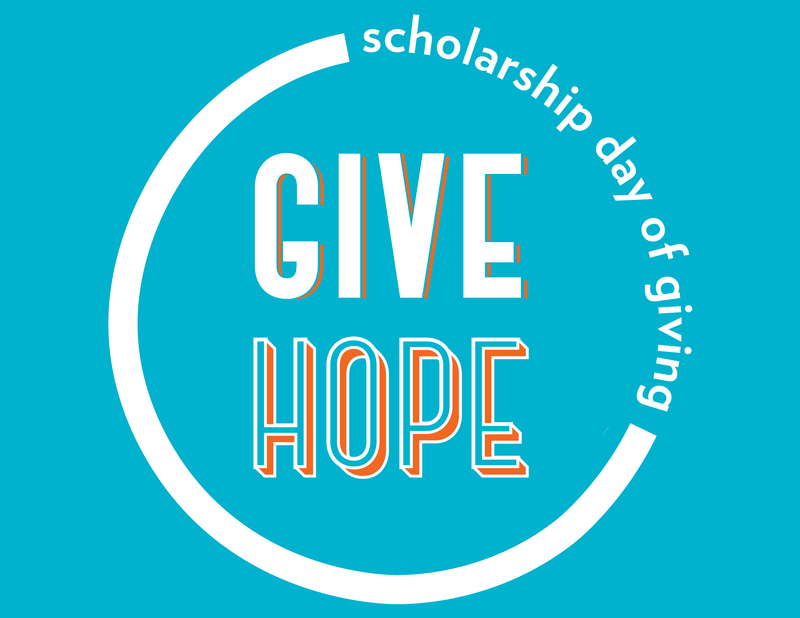 Join us for the third annual Scholarship Day of Giving on April 18, 2017. The goal is 1,000 gifts to the Hope Fund in 24 hours. Gifts received online and on the phone will be added to our project at hope.edu/give2hope. 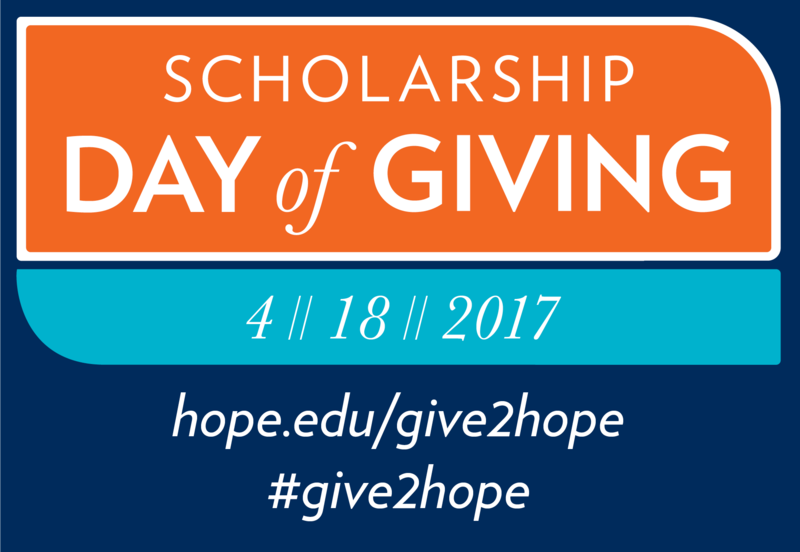 Online ambassadors will become part of our team for the day by helping to promote Hope College, the Hope Fund and student scholarships. We need your voice, your networks and your enthusiasm to help us make the day a success. Please consider helping our efforts this year and sign up to be an ambassador. Follow our progress throughout the day on April 18 at hope.edu/give2hope and use #give2hope on your social media platforms. Thank you for your thoughtful consideration and active support of our students.